Leaving Your Business? It's Inevitable. At one point or another, every owner will leave their business. 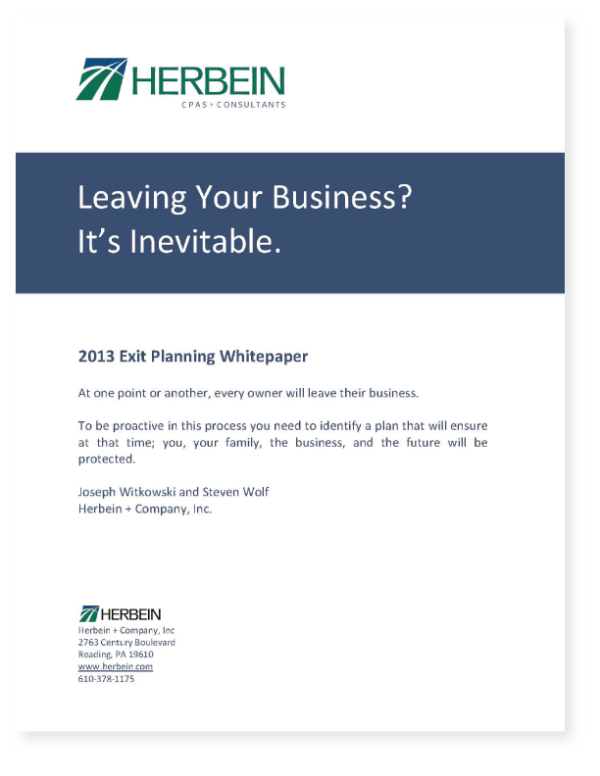 Herbein's FREE guide to the exit planning process will help you to be proactive in this process, and walk you through the steps to identify a plan that will ensure at that time; you, your family, the business, and the future will be protected. After filling out the form to your right, you'll be able to instantly download your guide to the exit planning process.